Naturally, we care about spouse well-being. We are clergy spouses ourselves. 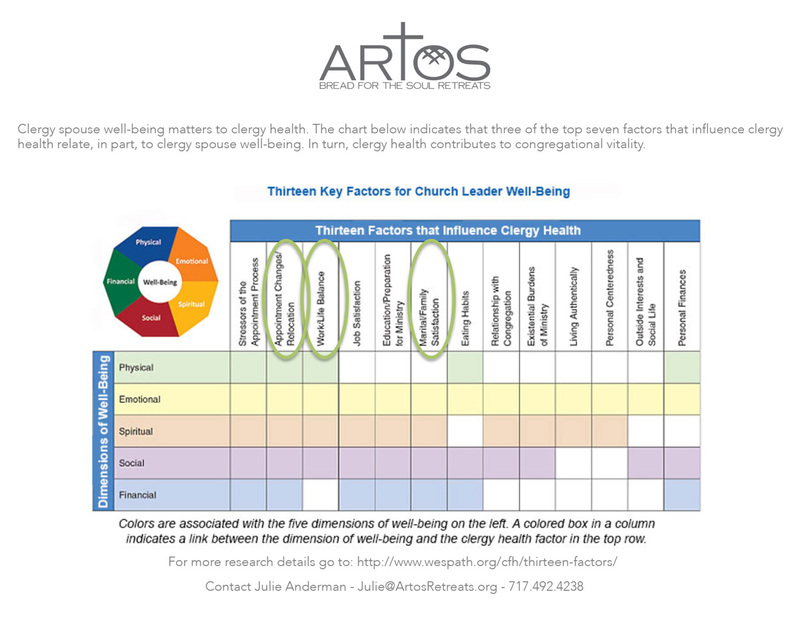 Our personal experiences also confirm research that clergy spouse well-being factors into clergy emotional, spiritual, social, and financial health. In turn, clergy health factors into congregational vitality. The link appears intuitively obvious. Most efforts to improve vitality, however, focus on boosting congregational and clergy health directly. 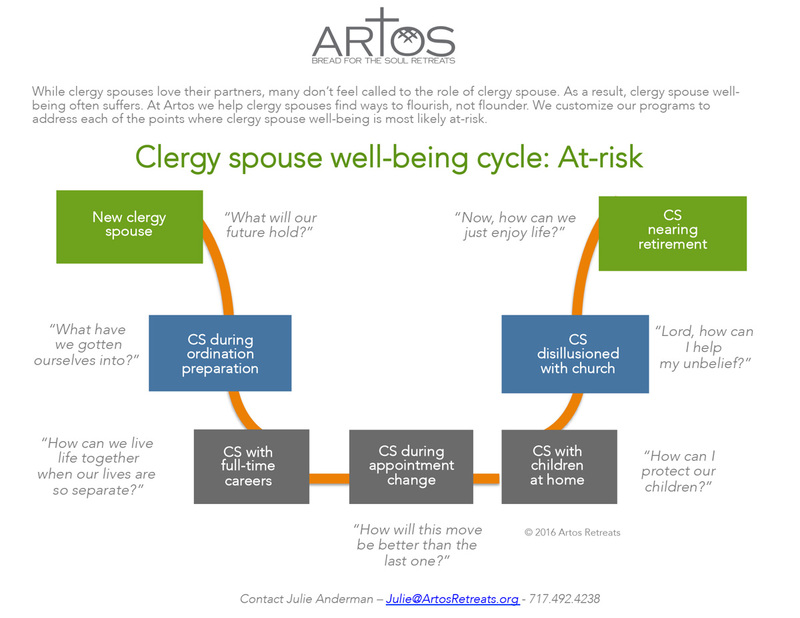 Clergy spouse well-being often remains the forgotten factor. We at Artos feel called to respond.